Volunteers are the heart of U.S. Army Garrison Wiesbaden. 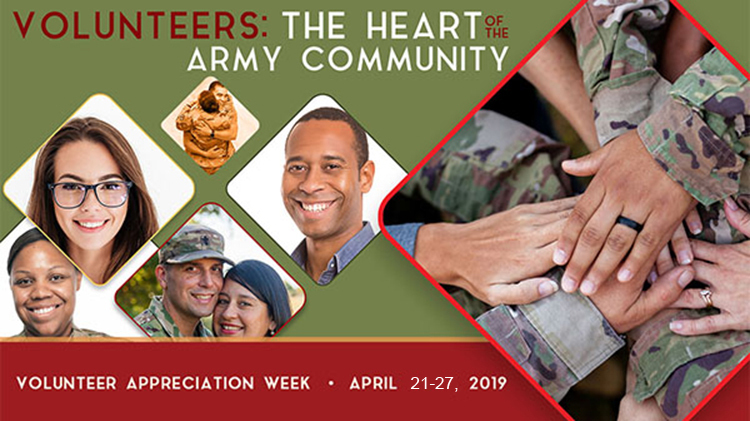 During Volunteer Appreciation Week, April 21-27, 2019, the garrison will host a series of activities to recognize those individuals who continue to contribute their time and talents, to welcome new volunteers and offer future opportunities for volunteers. Please check with Army Community Service for details on the Volunteer Recognition Ceremony.